The Parish Council is the first tier of local government for the village and parish of Amcotts in North Lincolnshire. The Parish Council comprises of seven councillors who are unpaid volunteers and who are elected every four years. The last elections were held in May 2015. The council employs a part-time Clerk who is also the Responsible Financial Officer and provides support and advice to the council. The village of Amcotts is situated on the West bank of the River Trent, North-West of Scunthorpe in North Lincolnshire and lies within the Isle of Axholme. The name Amcotts comes from the Old English for ‘Amma’s Cottages’. The village was listed in the Domesday Book as being a soke of the Manor of Crowle and had 8 households; 6 villagers and 2 freemen with land for one plough. 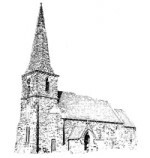 The village boasts a pub, the Ingleby Arms, and the picturesque Church of St.Marks which was built in 1853 replacing an earlier Church dedicated to Thomas a’Becket.